Indian Cuisine is quite well known for it’s fermented foods. Chutneys, yogurts and all sorts of pickled vegetables abound. 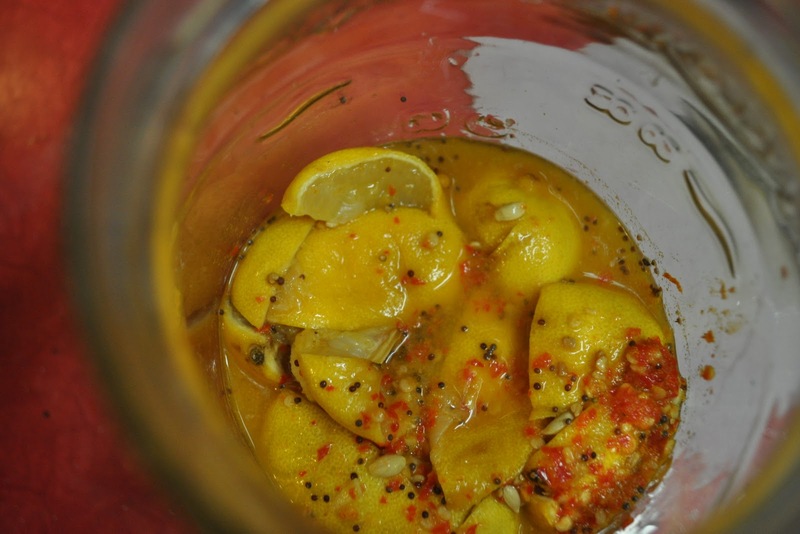 In this Hot Lemon Pickle recipe, I use traditional Indian spices with organic lemons and sea salt. In my batch, I did use fresh whey to aid in the fermentation process but it is optional. If you don’t use whey, throw in an extra tablespoon of sea salt. Lemons and their juice can be used in recipes in place of regular lemons. You probably want to stick with Indian recipes with these ones or stuff a roasting chicken with them. To maintain the benefit of the active cultures, add at the end and don’t heat more. Try them in my Lemon Dhal recipe. The peel on these lemons is actually the best part so slice it thin and garnish your lentils with it. Enjoy! Quarter the lemons but don’t cut all the way through. 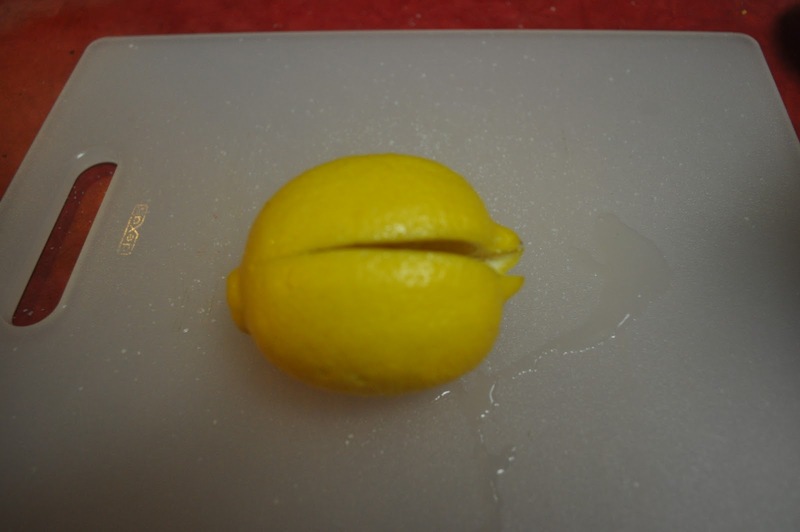 Leave lemon slices connected at the bottom. Sprinkle a light layer sea salt in the bottom of mason jar. Sprinkle salt inside each lemon, liberally. Begin layering lemons, ginger and spices pounding with a wooden mallet, spoon or rolling pin. One of these days I want to get a sauerkraut pounder. You want to really mash them good, releasing the juice. 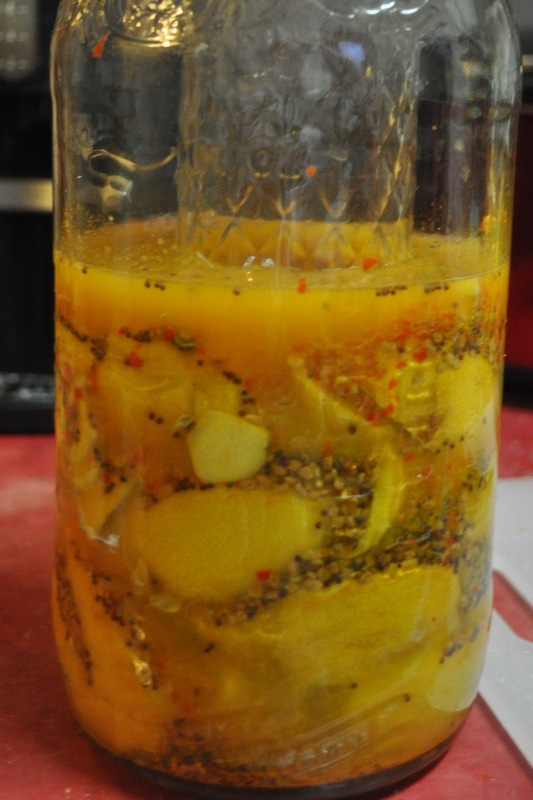 Keep layering and pounding until the lemons are submerged in their own juice. If you have trouble getting enough juice to cover them, you can add lemon juice. Top with 2 tbsp of fresh whey. To keep them submerged, I placed the biggest lid I could fit inside the jar and then pushed it down with a smaller jar. Let set at room temperature for 2 weeks then move to cold storage. I am new to fermentation and I am LOVING your blog! I already have a list of things I want to make starting with this one! Your recipes look delicious! A quick question about the Indian Hot Lemons. Is there any reason why the lemons must be left whole? I had an Indian friend who made these for me and they were cut in wedges. I’d like to do your recipe but it is more user friendly for me to have them already cut in the small pieces. Thank you. I’ve only seen them done whole myself but it might just be an aesthetic thing as I see no reason why you couldn’t quarter them.